Growing with the changing times and transmitting the news of the day in accordance with the transformed world is the underlined fundamental of J&K NEWS TODAY. Jammu and Kashmir sits in a unique geographical feature on the global map , but its internal and external conflicts dominate the news. That leaves the real aspirations of the people and their yearning for the real news unmet . The conflict dominates the news columns . With a commitment to deliver the objective news of the events and their clinical analysis is our motto . This climate change will be for better and pollution-free news in its earnest. Thumbs up to pollution free news. Great idea! 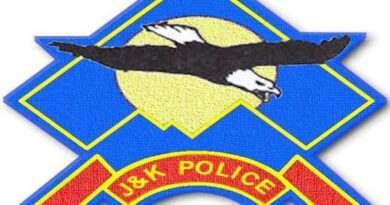 The web site is very well made and we hope for pollution free news for the state of Jammu and Kashmir. This is the need of the hour. Congratulations and this is a welcome step towards pollution free news.